Tiana and Naveen. 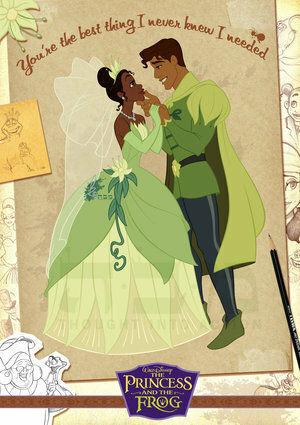 Princess Tiana and Prince Naveen <3. Wallpaper and background images in the The Princess and the Frog club tagged: disney princess and the frog princess tiana prince naveen fan art. MARRIAGE IS HONORABLE IN ALL AND THE BED UNDEFILED MY ADVICE IS DON'T INTODUCE WHAT YOU CANNOT REPRODUCE!!!!!!! !